A commonly heard story, that attempts to explain how Mount Hope got its name, that involves Judge McGinnis, Egypt, pea vines, a school, and grazing cattle, might not actually be all that accurate. A far simpler explanation outlined in a 1936 newspaper article suggests that the town was so named because Luther Warner, the first postmaster of the Mt. Hope, had moved here from a town named Mount Hope, located in the state of Rhode Island. Since Postmaster Warner was probably called upon to supply the official name for the post office, he may have simply given the new post office the name of the town from which his family came. Raleigh Register, "Named for King's City", August 23, 1936, page 11. 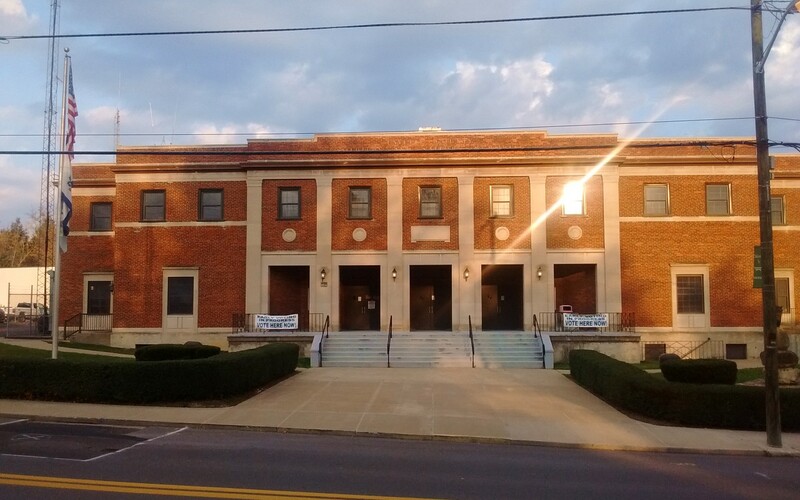 Although not formally dedicated until July 4th, 1952, the Fayette County Soldiers' and Sailors' Memorial Building in Fayetteville, W.Va. had first been used for a Christmas dance in 1951 under sponsorship of the American Legion. 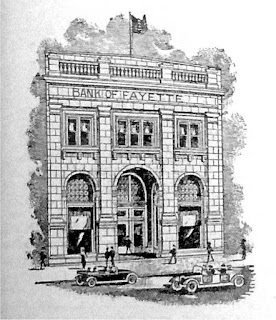 The building had its inception with the Fayetteville Businessmen's Association, whose members felt a memorial should be erected in the county in honor of those who had sacrificed so much in the service of their county. Fayette County Soldiers' and Sailors' Memorial Building, in Fayetteville, W.Va. 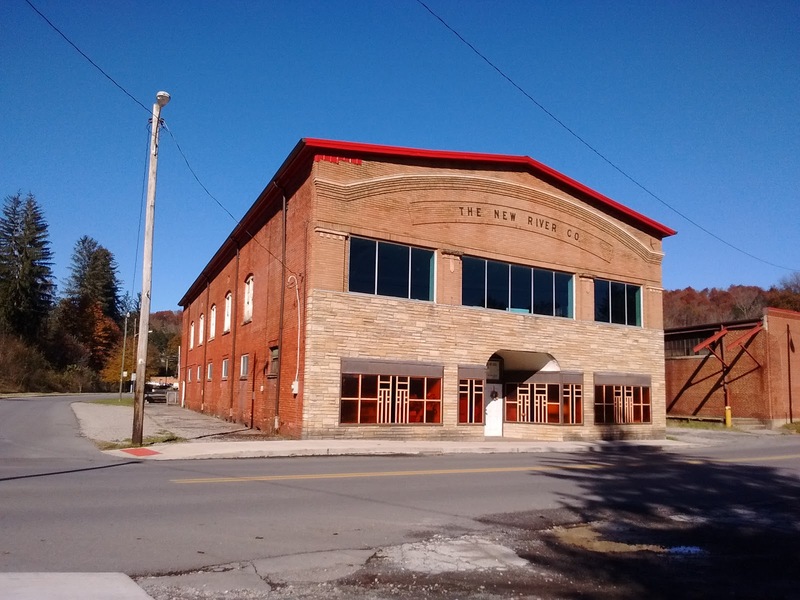 The little bank in Winona, W.Va., was robbed on four separate occasions during its years of operation, a statistic which probably makes it the "most robbed bank" in all of Fayette County. Most tourists passing through Winona today, on their way to Nuttallburg, would probably be amazed to learn that Winona once had a bank, or that the town's population had grown to 1,100 persons by 1910, following the opening of several nearby coal mines in the mid-1890s. Following the demise of the area's mining operations in the mid-1950s, little evidence that Winona was once a vibrant and thriving community is left today. 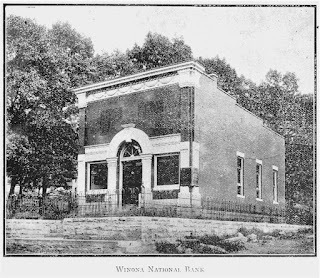 Winona National Bank was organized on September 17, 1910, opening for business on December 1, 1910 in an attractive, but rather small one-story brick building, trimmed with cut stone, located near the middle of Winona. 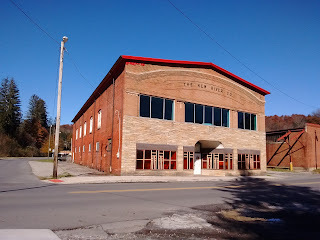 The bank operated successfully until 1959, when its assets were sold to a bank in Gauley Bridge, W.Va. Unfortunately, Winona's old bank building has since been torn down. 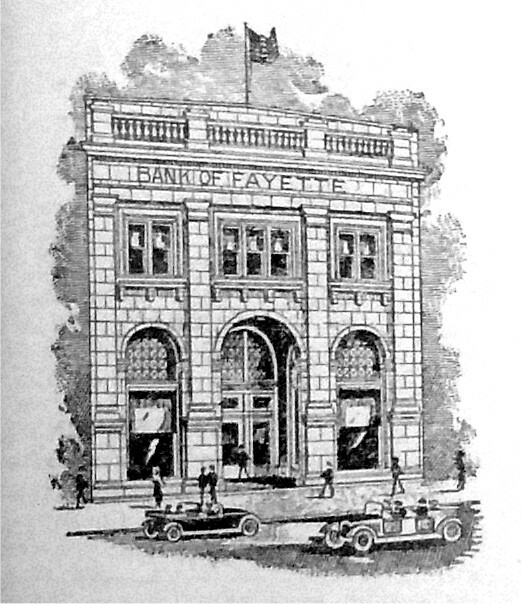 Bank of Fayette, Fayetteville, W.Va.
Two of the New River Company's former company store buildings still survive in Mount Hope, W.Va. 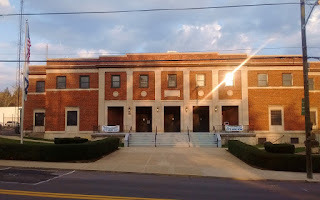 The building that housed the last company store in town is probably the better known of the two, which is located at the corner of Stadium Drive and Main Street, which is shown in the photo below. By mid afternoon, on that fateful day in the spring of '58, excitement ran high as word spread that a U.S. Naval satellite had landed on the courthouse lawn in Fayetteville, W.Va. It wasn't long before a crowd of lawyers, law enforcement officers, journalists, and concerned citizens gathered in the tiny sheriff's office anxious to catch a glimpse of the satellite, and to learn more about the object assumed to have fallen from space sometime overnight. The crowd of onlookers soon learned that only a short while before, Dana Carte, a trusty at the Fayette County Jail, had discovered the strange object on front lawn of the Fayette County Courthouse. Carte had immediately revealed his fantastic discovery to Jack Robertson, manager of the Fayette County sheriff's office. 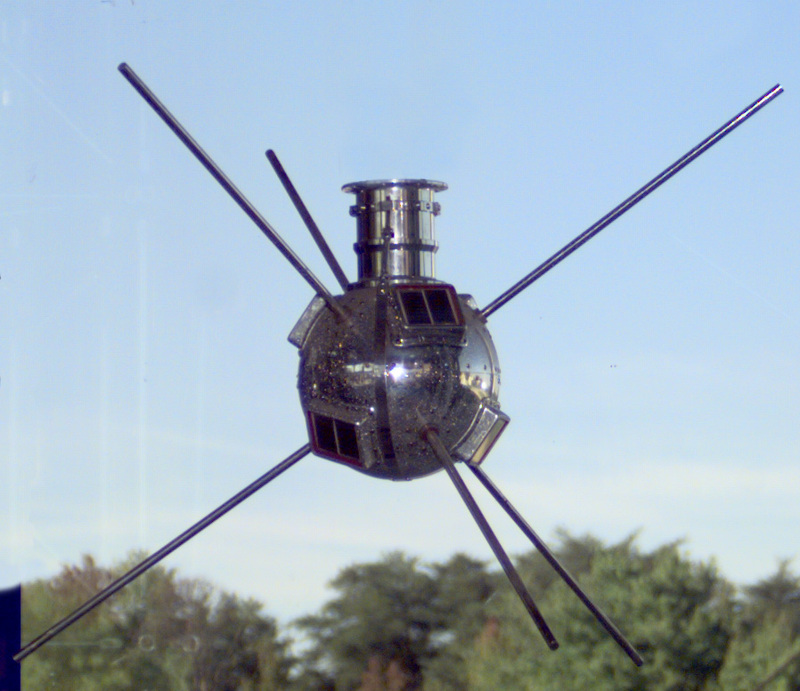 Soon after photographers from three area newspapers began snapping pictures of the suspected satellite, a local official began to carefully examine every inch of the grapefruit sized object and the six antennas that extended from its body with a magnifying glass, finding a marking that read "Naval Research Laboratory."